Faculty, administration and members of the Undergraduate Student Government have warned students about construction in the 23rd Street building since before Spring 2017. But no warning could have prepared anyone for the chaos of having a class or activity in that building. While some students head to class in the Newman Vertical Campus with a mere five minutes to spare before professors mark them late, other students in the 23rd Street building —also known as the Lawrence and Eris Field Building — head there with 15 or 20 extra minutes, just to barely make it to class on time. 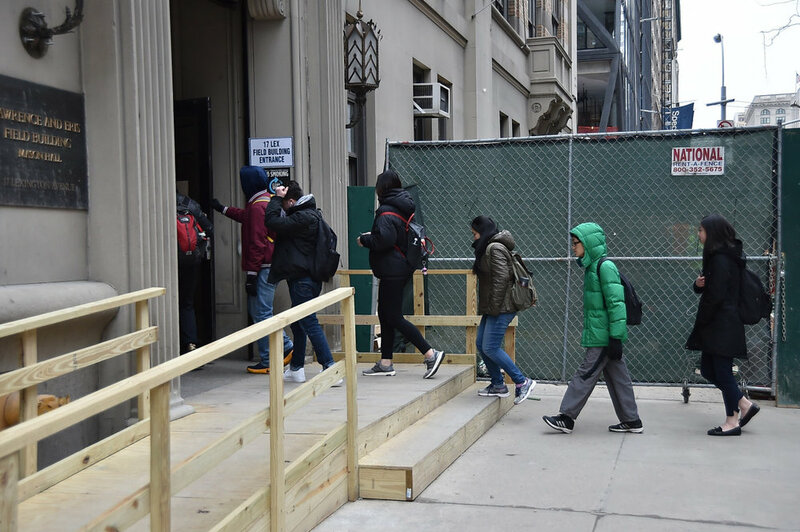 The discrepancy is measurable, andstudents have already come to expect massive lines in front of the elevators What the students had not yet expected was a fire in the 23rd Street building on Jan. 28. Students who attended class in that building reported smelling smoke and felt that the conditions were inadequate for an environment whose primary use is to foster learning. Despite the smoke, construction still went on. During the day when there are classes in that building, construction heavily impedes the learning process. The classrooms rumble when construction occurs inside the building. The power tools the construction workers use drown out professors and students. The loud thuds of any moving materials catch students off-guard. There are notices plastered around and within the building that say students and professors are to expect construction. The school didn’t keep its plans for the Field building a secret, but that doesn’t make the situation acceptable. Students still shell out thousands of dollars to attend Baruch College, but increasingly, classes in the 23rd Street building are not worth the tuition that Baruch demands from students. Before phase one of the construction started, administrative members made it clear students would attend classes while construction was ongoing. They apologized for any burdens but tried to justify the decision by saying that it’s the only way to complete the construction within the desired timeframe. The result is maddening. We are two years into the project, and nothing has gotten easier for students when it comes to taking classes in that building. At this point, administration must realize that construction and education cannot coexist in the 23rd Street building. It is time for administrative members — especially Baruch College President Mitchel B. Wallerstein — to consider other options, like moving the students and professors to another location or opting for a different construction schedule. Students should no longer put up with anything less than the stellar quality of education that Baruch continuously promises and gloats about. And administrative members cannot keep basking in the silence of students and professors who feel like they don’t have a say in this.